A favourite song / blue and white. 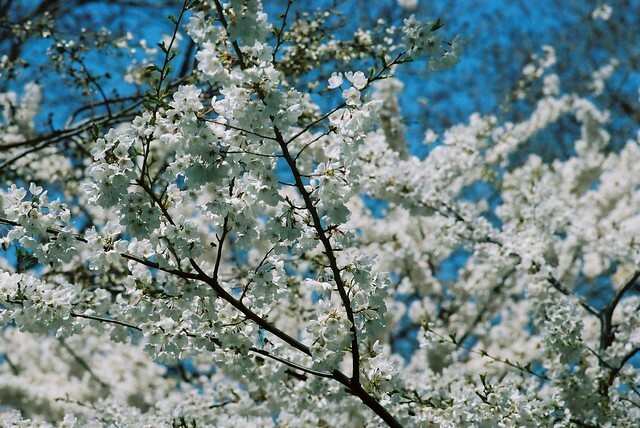 Just a few more cherry blossom pictures (my sunglasses are Karen Walker Number Ones from Summerland), these ones taken with my Canon film camera. We had first stopped by the blossoms around noon and then, later, riding our bikes home again, we stopped for a second time. 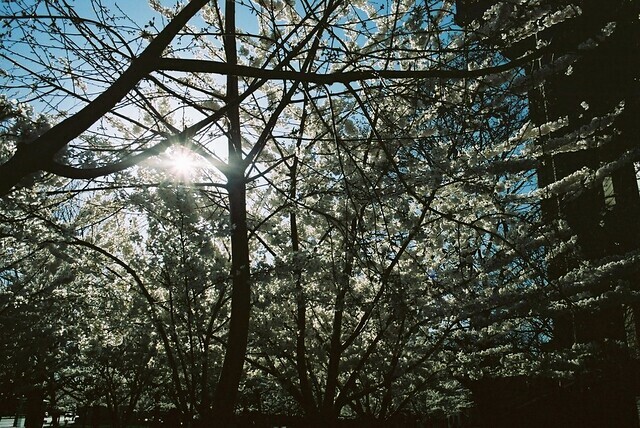 With the sun lower in the sky, the petals sparkled. A beautiful record. 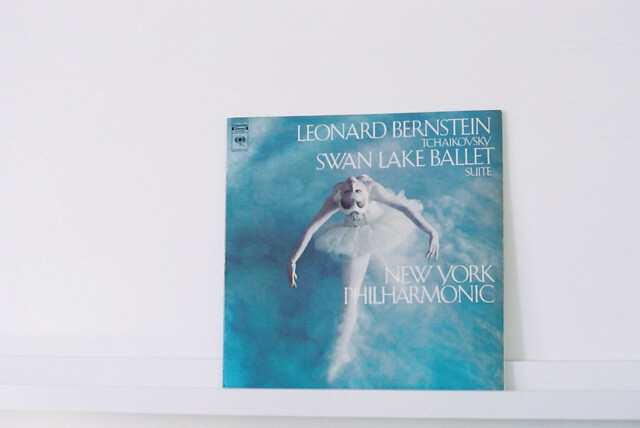 I may start collecting these old ballet LPs. I don’t think I’ll try to dance to them, though. I'm going to die, seriously, ugh! Half the time you make me want to swathe myself in pale pink and white and then this comes along and now I need all the things that are blue. Ha! You can do it all, my friend. I'm usually not terribly into blue but the cover of that LP makes me insane. So good. 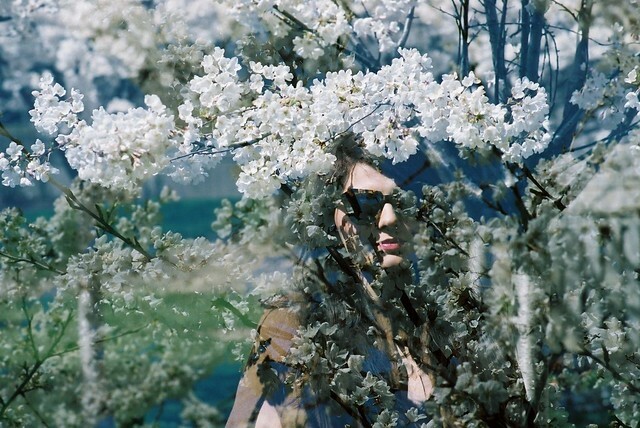 cherry blossoms never lose their magic. I love ballet and ballet music is the best :) Your blog is the sweetest thing. Thank you so much! The Swan Lake suites can be very dramatic but they are simply beautiful. You're right -- high fives for summer! Oh wow! I hope you get to see them one day. It's a goal of mine to see them in Japan in my lifetime. So glad you like the tote! what a great idea, I never thought of looking out for LP's like that but I bet they are lovely. beautiful photos too. Yeah, they're not too hard to find usually, and never cost more than a few dollars. to disregard everything: YOU GOT THE TORTOISESHELL ONES. they look great! Yeah! I know, so crazy, I have two pairs of Number Ones... the tortoiseshell ones were a sweet gift. I love them. i love the colors here. ahh, these are majorly nice. so beautiful! thank you for sharing. 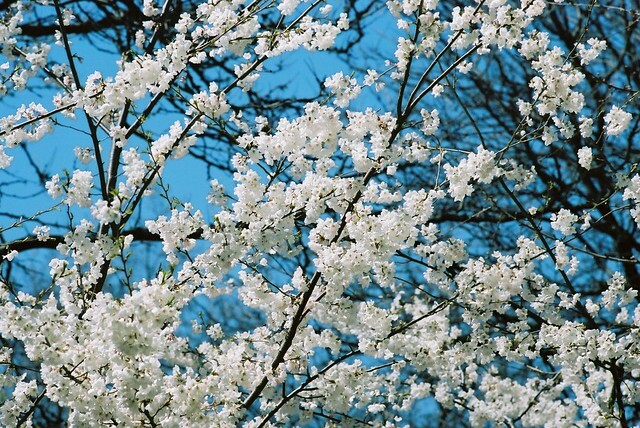 i love blossoms! Thank you! I do too! They're all gone now, sadly. Loving these photos too much. Have a wonderful weekend! Thanks! I hope you had a wonderful weekend yourself.